Some of you might have noticed some new, cool forces gracing our store section's cabinets this summer. These are hand-picked highlights from our dear player community and from Fight Club combatants that have been kind enough to have us display their armies! This exhibition will now be accompanied by mini interviews to shed light on the artists behind these brilliant collections. These interviews are conducted in English because of our community's international flavour. Today we introduce scene active Dave Jackson! 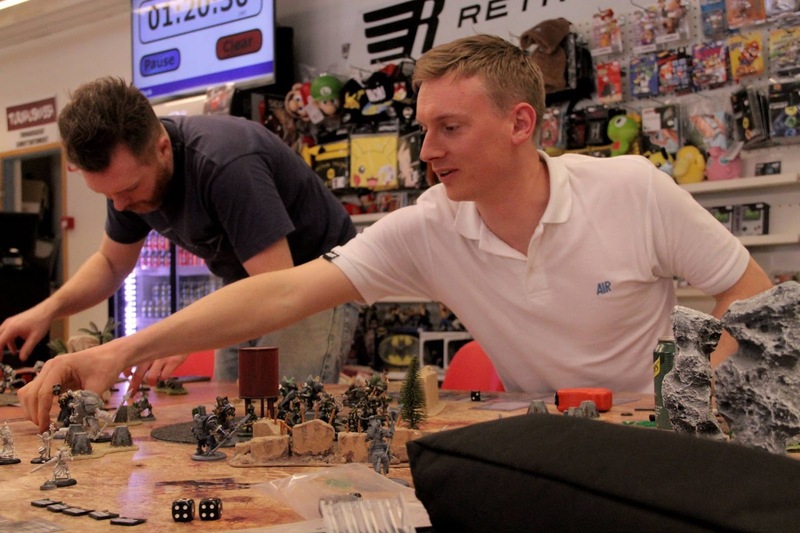 Who are you and what do you do besides play wargames? David, Englishman, all-round nerd. I love 40k, Warmahordes, D&D and PoGo and if I have any spare time I also try to do some working, daddying and husbanding. How did you first begin the hobby? Hero Quest and Space Crusade were my gateway drugs. After that my brothers and I bought some Games Workshop minis from a kid in the next village. A random collection of half built, half painted 40k, Fantasy, Epic and 'miscellaneous'. It was awesome! We bodged together our own homebrew ruleset incorporating all of the minis at once and the long war began. Battles were epic, took up entire bedroom floors and lasted all day. Good times. What armies do you play? What's your favourite kind of roster? I'm all about Nurgle. Primarily Death Guard but with some Nurgle Daemons and Nurgle themed renegade support. I stick fairly rigorously to the fluff so you'll never see DG raptors or heavy weapon toting havocs on my watch but I always try to make my fluffy combos work for me as competitively as possible. What is your fondest gaming memory? That's a tough one. In almost three decades of gaming, I have a lot of very fond memories and am gathering more all of the time but I think my personal golden age of miniature gaming was Necromunda. Me, my brothers and just about every kid in the village had a gang and were super in to it. 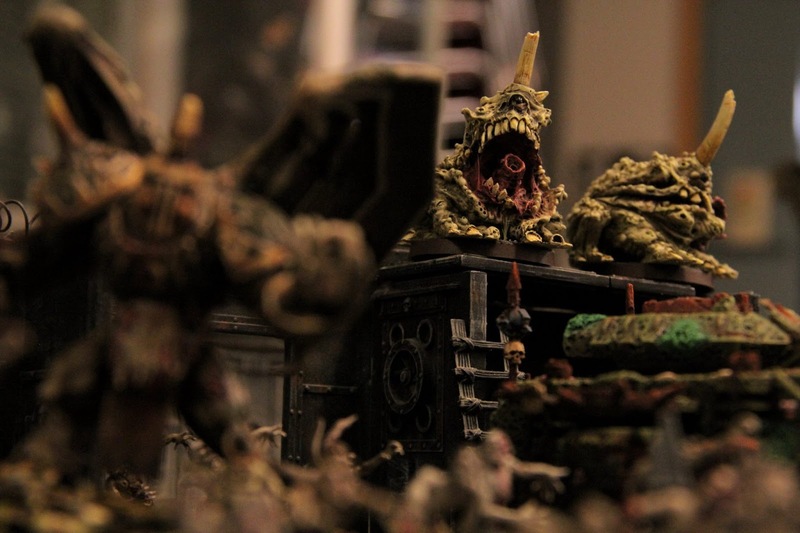 We'd all amass at one of our houses, build huge underhive complexes using anything we could find around the house, and engage in brutal gang warfare into the wee hours. What is your best tournament / campaign achievement? I don't really do the competitive scene but I have had some good placements in fluffy events and once got the best army award which I'm very proud of. Who is your arch rival in the Fight Club or in tournaments? Travis. In 40k certainly but also in life in general. We are polar opposites but completely alike. He annoys the hell out of me but is the most fun guy to be around. I hate him. I love him. Who is your favourite character in the 40K lore? Why is that? Forgive me Father Nurgle. I love the story of Magnus. The tragedy of his story is irresistible. A single commendation and a piece of criticism for the 8th edition? I've only played one game so am not exactly an authority but I really enjoyed taking turns to deploy units - a definite improvement. As for criticism, I didn't like the way characters are now virtually immune to shooting thanks to the targeting rules. I think that needs a big rethink. Thanks Dave and keep spreading the blight! Travis ja Dave taannoisen Journeyman-liigamme tuoksinnassa.